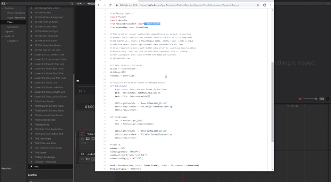 This Python script dumps one DaVinci Resolve Postgres database at a time and saves it in the current user’s Documents directory twice a day. The interval is set inside the script itself. The script does not require OS level scheduling. It is important to set the correct Postgres version for the script to run. Usage is the same in Windows and OS X. Execute the script at any time, or add it to the startup programs for automatic start. 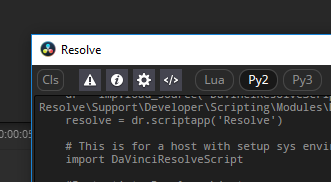 In Windows you can rename the extension to .pyw to suppress the console window. Python 2.7 in required in Windows. OS X already comes with Python, but you need to associate the .py extension with the Python Launcher if you want to execute the script by double clicking. 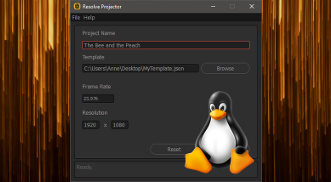 The script currently does not support the Linux version of Resolve. 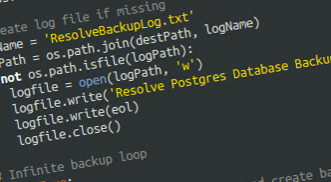 If you are running Resolve Disc Database instead of Postgres database use this backup tool. This tool converts DaVinci Resolve markers to a web based document for client review. 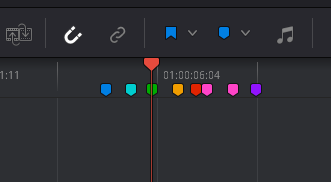 Right click on a Resolve timeline, export “EDL with markers” file and upload.